“Let no one despise you for your youth, but set the believers an example in speech, in conduct, in love, in faith, in purity." 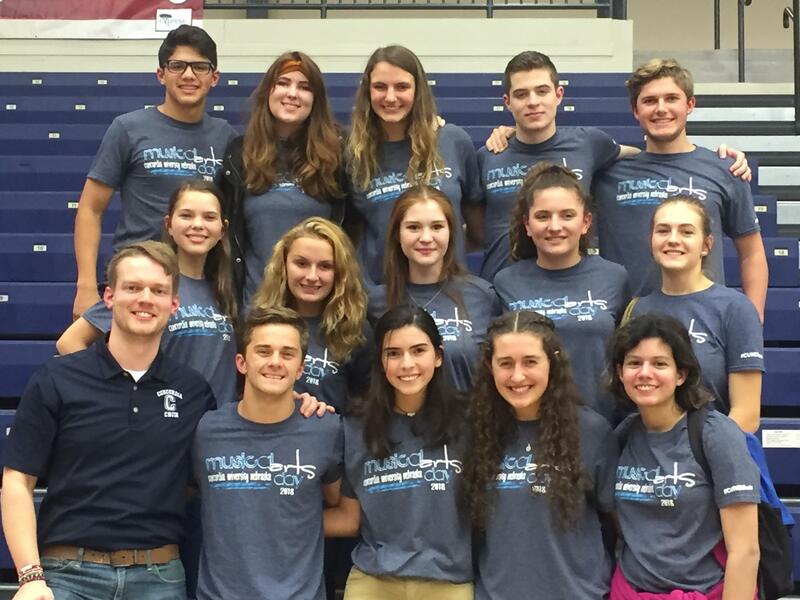 The mission of the Music Department at Concordia Lutheran High School is to completely and joyfully use our God-given talents to provide a Christian witness through instrumental and vocal music. 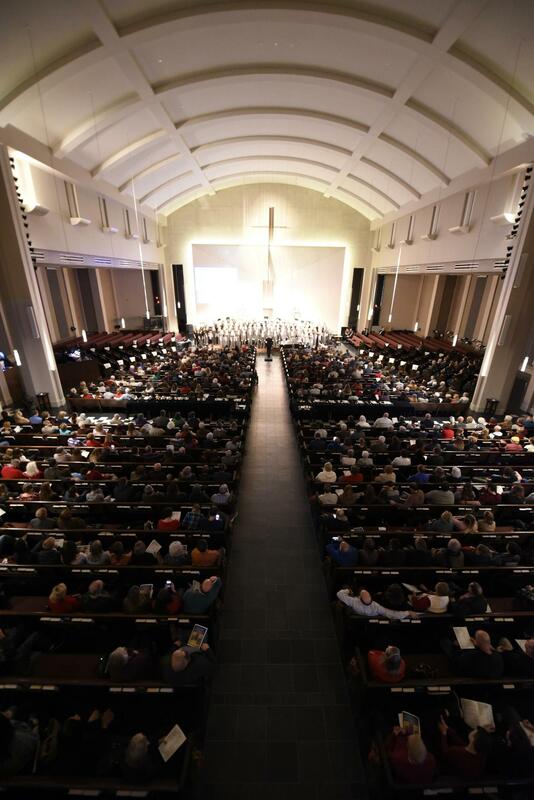 If you are interested in being a part of Concordia’s choral program, please arrange an audition time with Mr. Palomaki through email or phone. The Concert Choir is Concordia’s premier vocal ensemble. 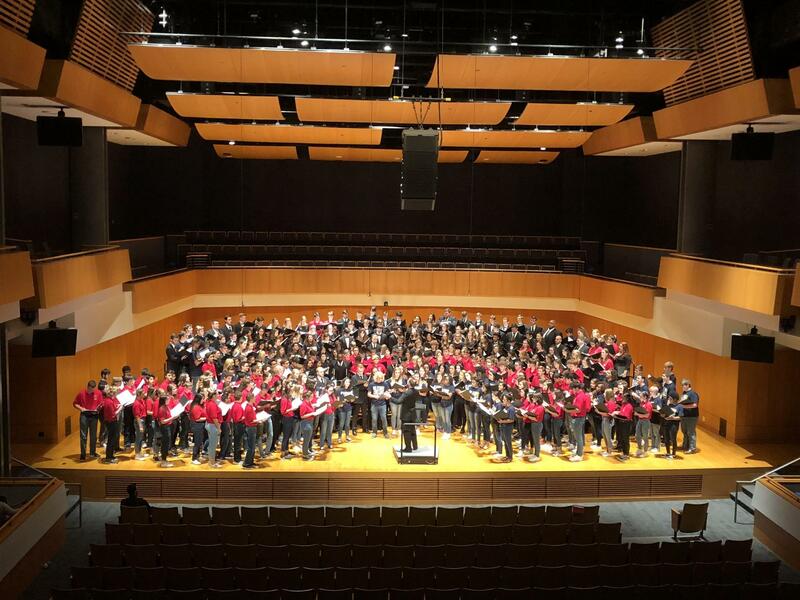 This 74-voice select SATB choir meets during 4th period four times a week. Admission into the ensemble is by audition only (see info below). 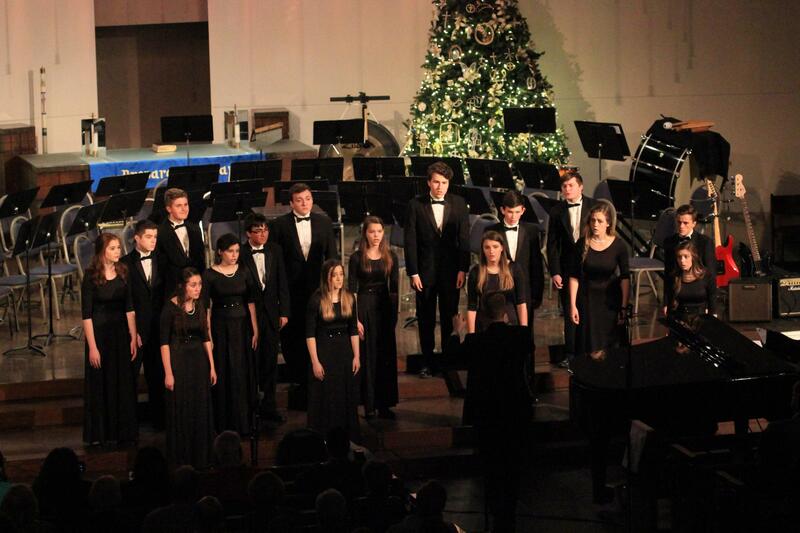 The Concert Choir performs quality choral music at numerous concerts, chapels, and competitions throughout the year. 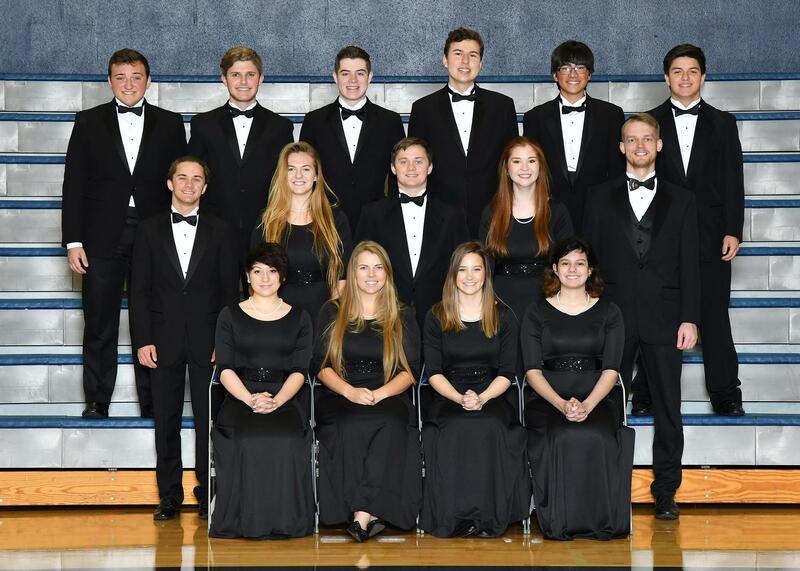 The Chamber Choir is an advanced 16-voice select SATB extracurricular vocal ensemble. 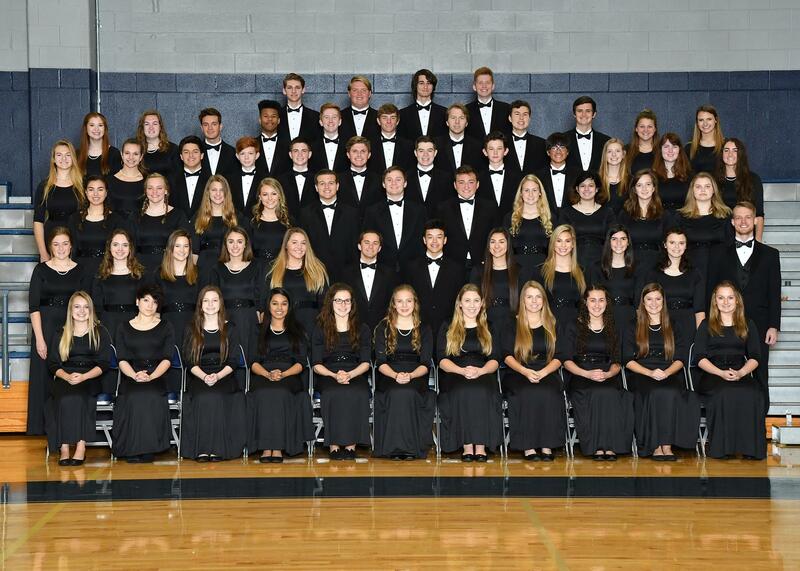 Students selected into the Chamber Choir must be a member of the Concert Choir. Auditions are held at the beginning of each year. 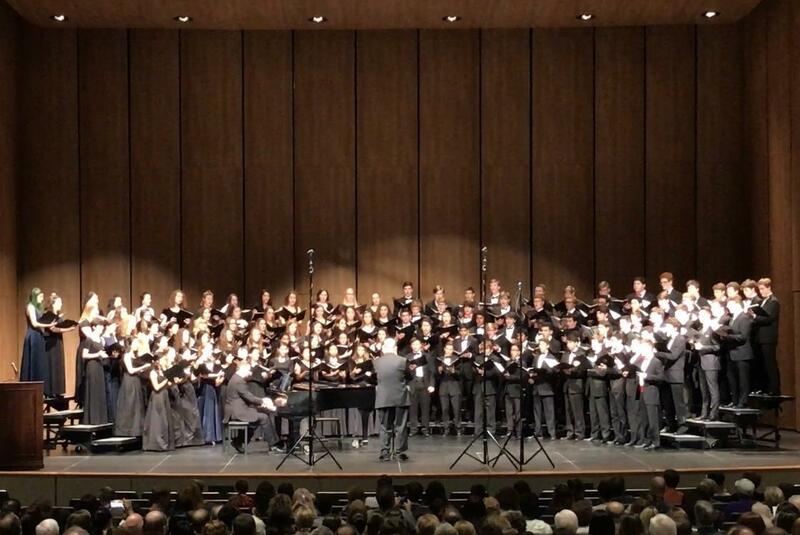 Four members from each vocal section (Soprano, Alto, Tenor and Bass) are represented in this advanced ensemble. 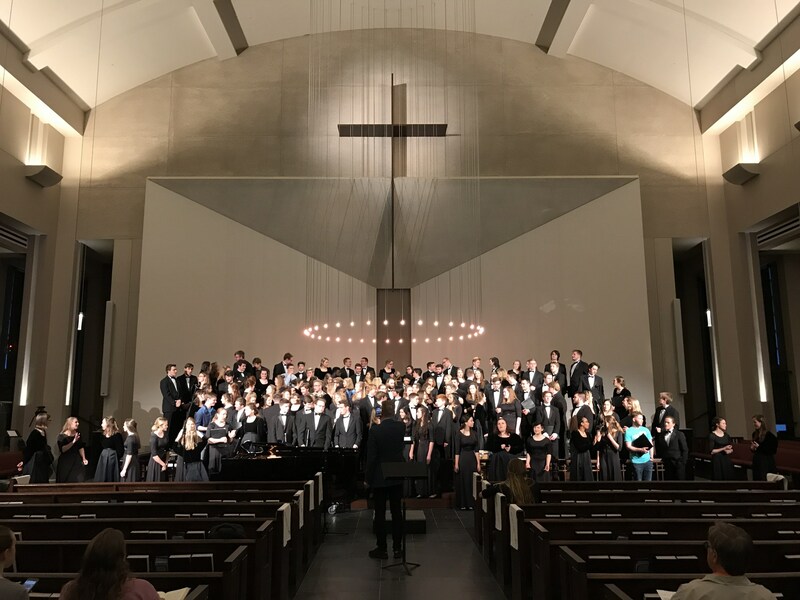 The Chamber Choir rehearses twice a week before school and performs high quality choral music at numerous concerts, chapels, community events, and competitions throughout the year. 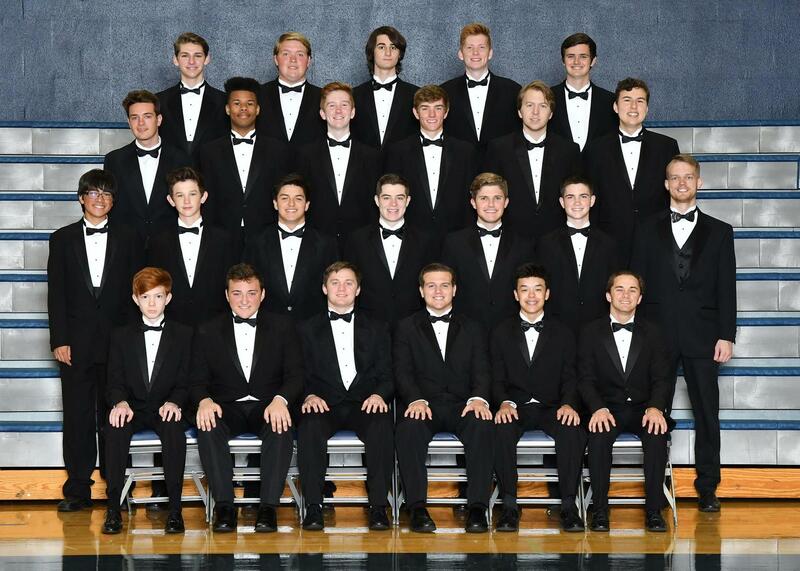 The Men’s Chorus consists of all males participating in the Concert Choir. Currently, this 31-voice all-male vocal ensemble rehearses during 4th period when needed. 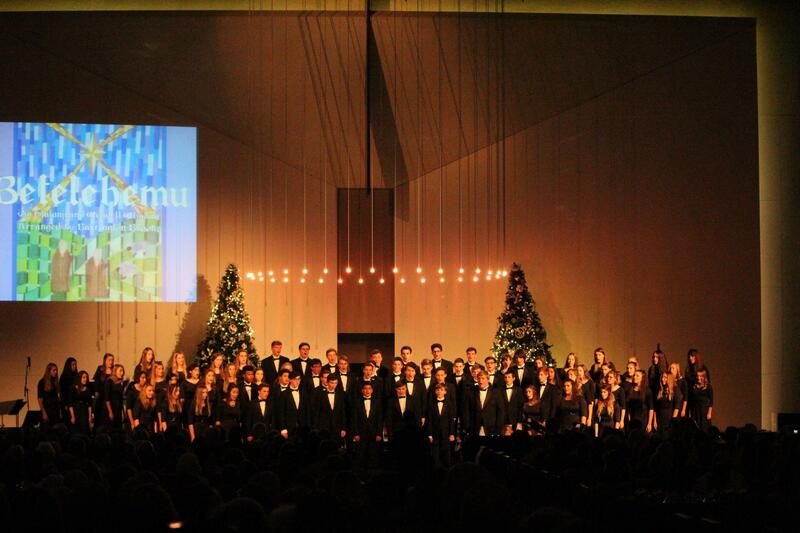 Membership in Concert Choir is required to be in Men’s Chorus. 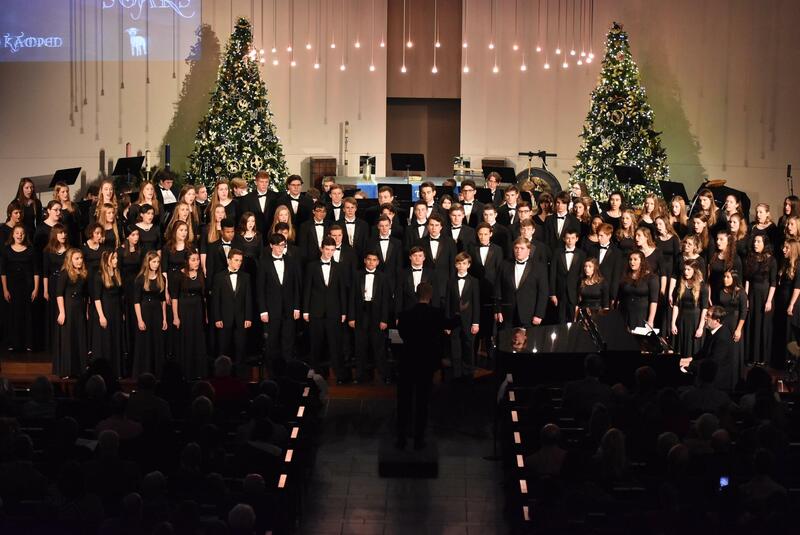 The Men’s Chorus performs quality choral music at the Christmas and Spring Concerts as well as the TAPPS State Competition. 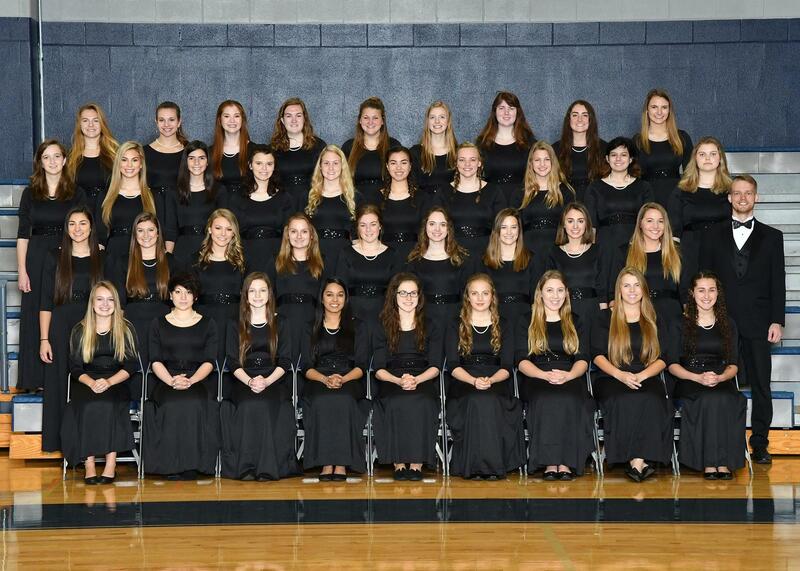 The Women’s Chorale consists of all females participating in the Concert Choir. Currently, this 43-voice all-female vocal ensemble rehearses during 4th period when needed. 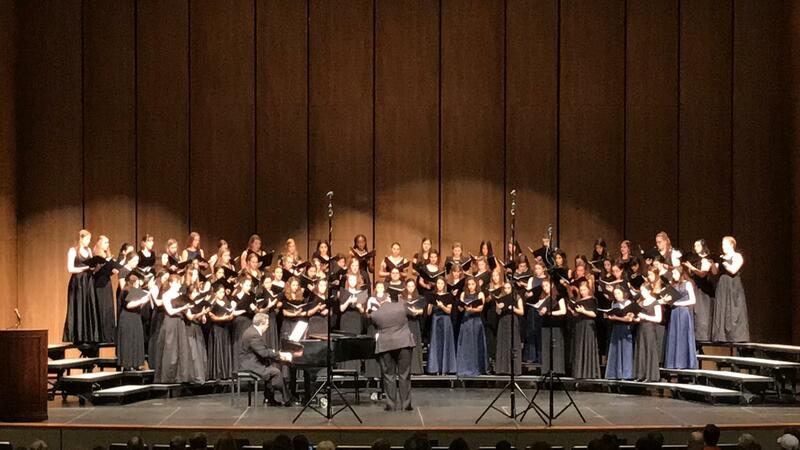 Membership in Concert Choir is required to be in Women’s Chorale. 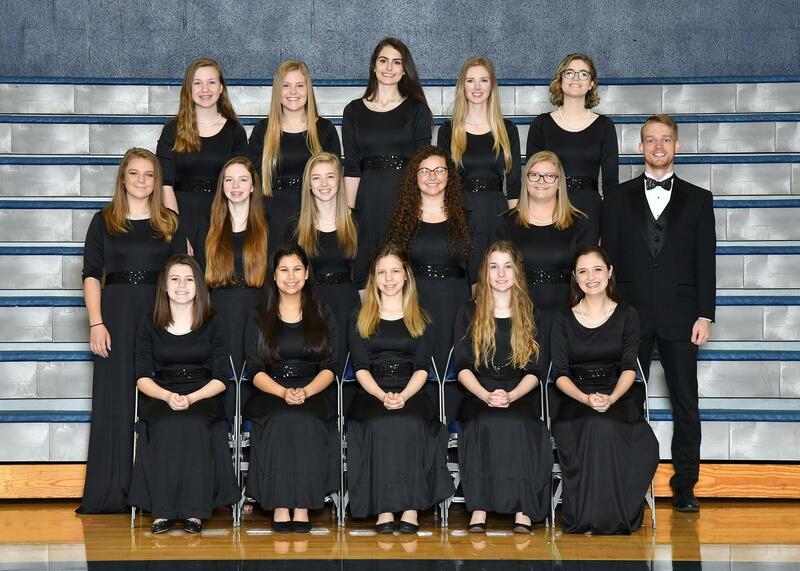 The Women’s Chorale performs quality choral music at the Christmas and Spring Concerts as well as the TAPPS State Competition. The Treble Choir is a non-audition ensemble consisting of mainly incoming 9th grade female singers and beginning choir singers from 10th-11th grades. 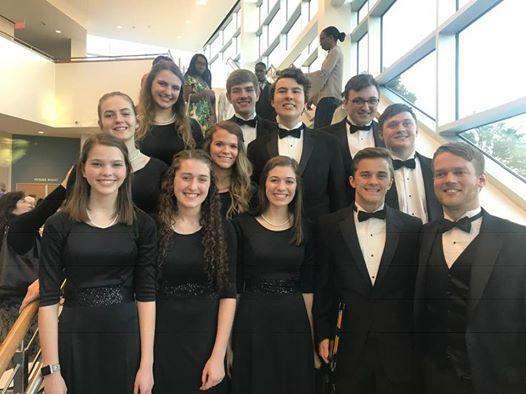 The goal of this ensemble is to teach the members the basics and fundamentals of reading music and proper choral singing, with the eventual goal of auditioning for the Concert Choir during the spring. 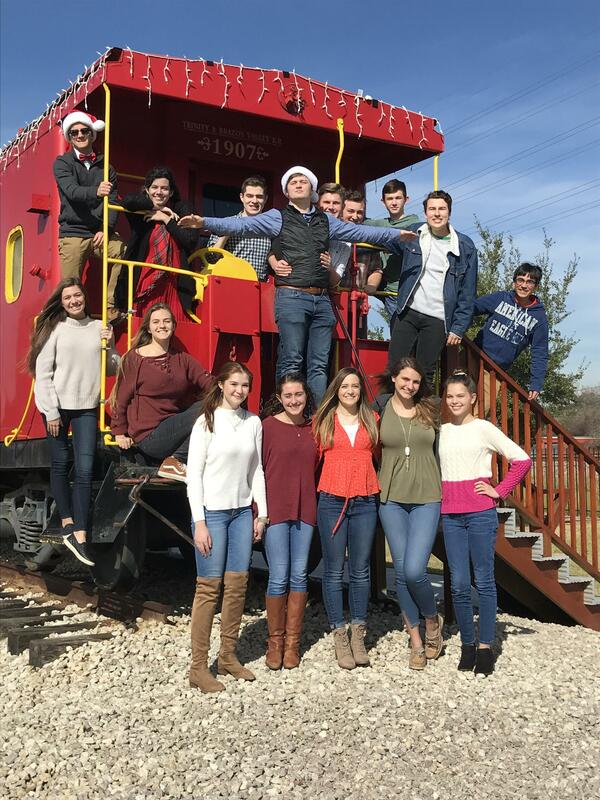 The Treble Choir is a non-auditioned ensemble and performs quality choral music twice a year with the Concert Choir at the Christmas and Pops Concerts. 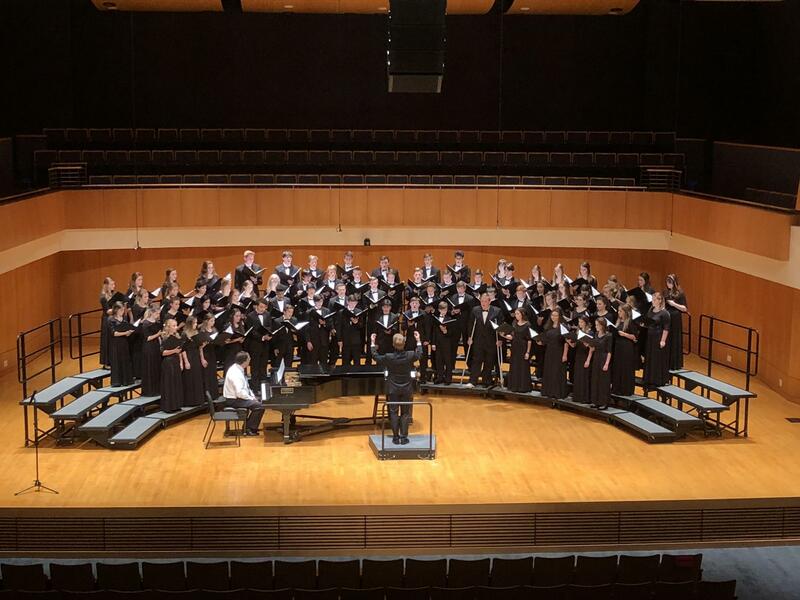 Well-Rounded Involvement: Students who participate in choir at Concordia almost always are involved in multiple different activities and sports. 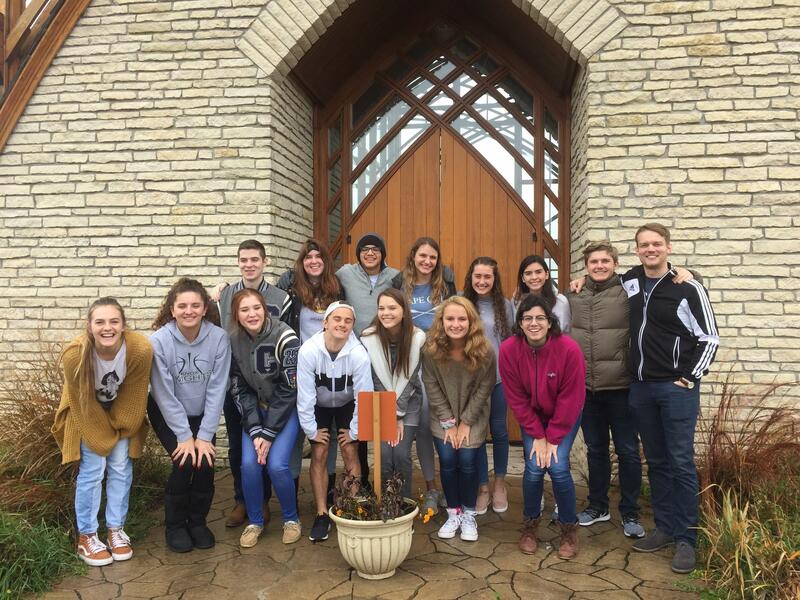 We don’t limit our students to participating in one single activity for their entire high school career. Choir students are currently also involved in every sport at Concordia as well as theater, academic team, student council and numerous other clubs and organizations. 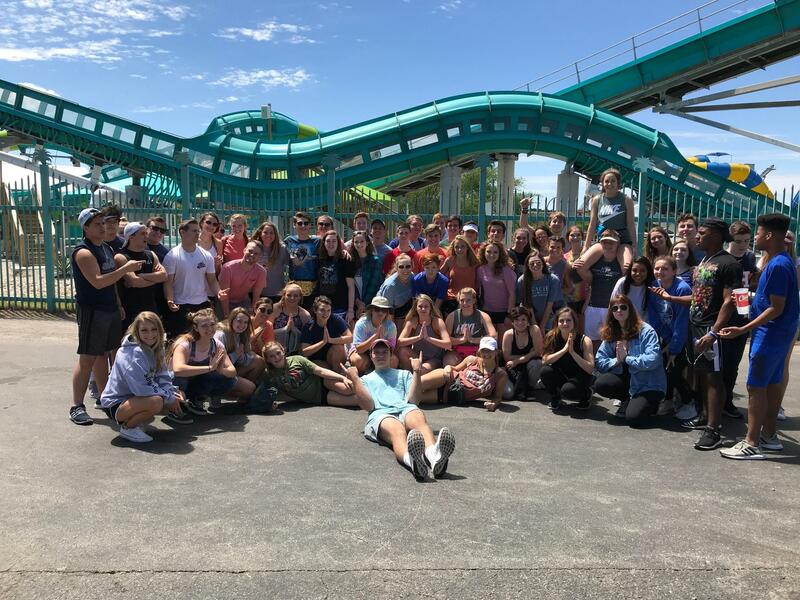 Honors Program: Juniors and Seniors have the option to be a part of the Concert Choir Honors Program (graded on a 5.0 GPA scale instead of 4.0). To be eligible for this, students will have various extra requirements to fulfill throughout the year. 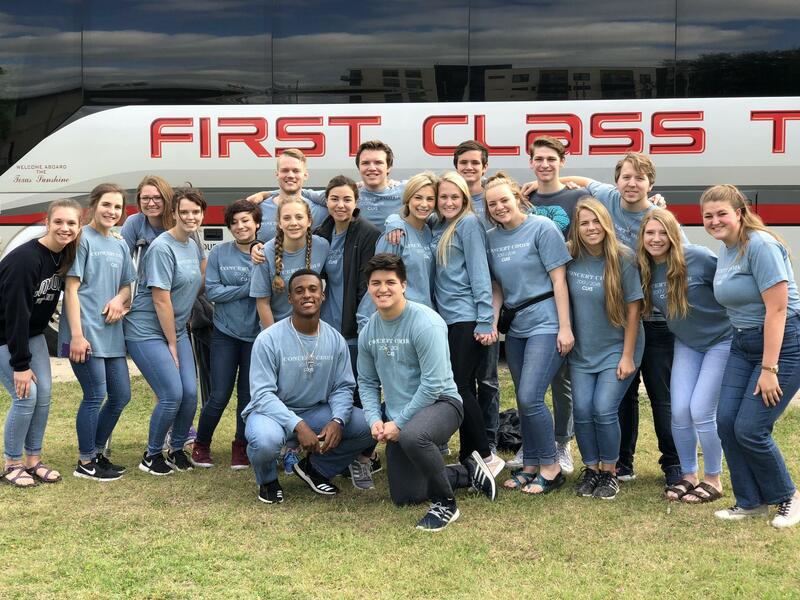 State Choir Trip: Each spring, the Concert Choir takes a weekend trip to Waco/Austin/San Antonio to participate in the TAPPS State Vocal Competition. 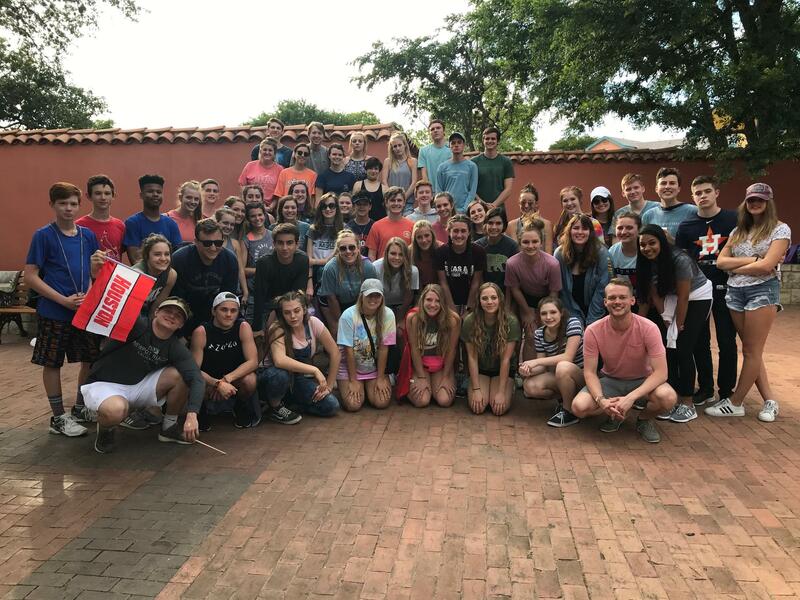 The weekend trip includes the competition in Waco on Saturday, worship at St. Paul Lutheran Church in Austin on Sunday morning, and then a free day at Six Flags in San Antonio on Sunday. 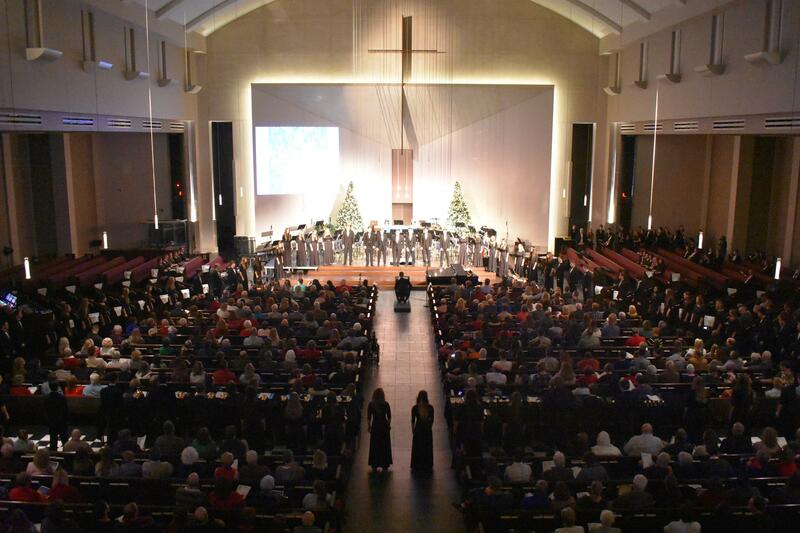 Singing Praises to God: Choir gives each and every student involved a chance to first and foremost give thanks and praise to our Lord and Savior Jesus Christ by witnessing to others through the gift of singing. 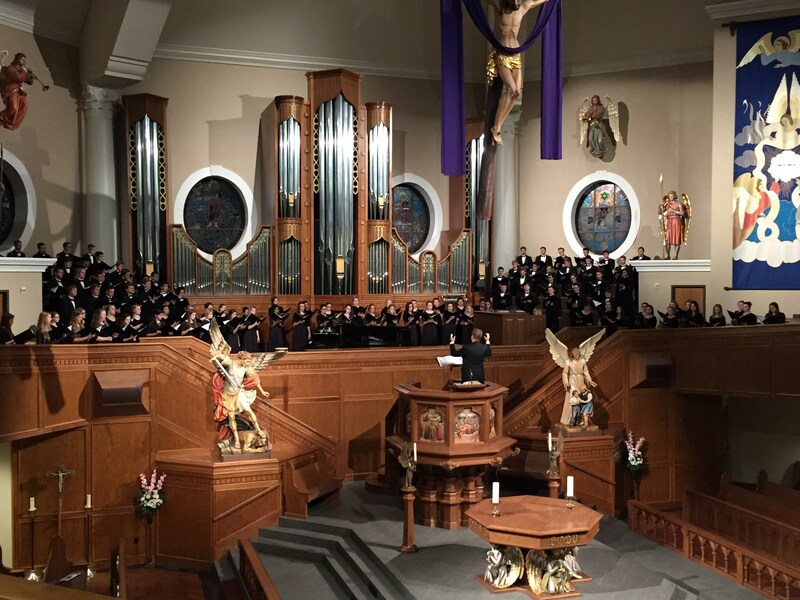 The ability to spread the Word of God through choral music is powerful and can impact lives on every level.